She’s a whole lotta woman! 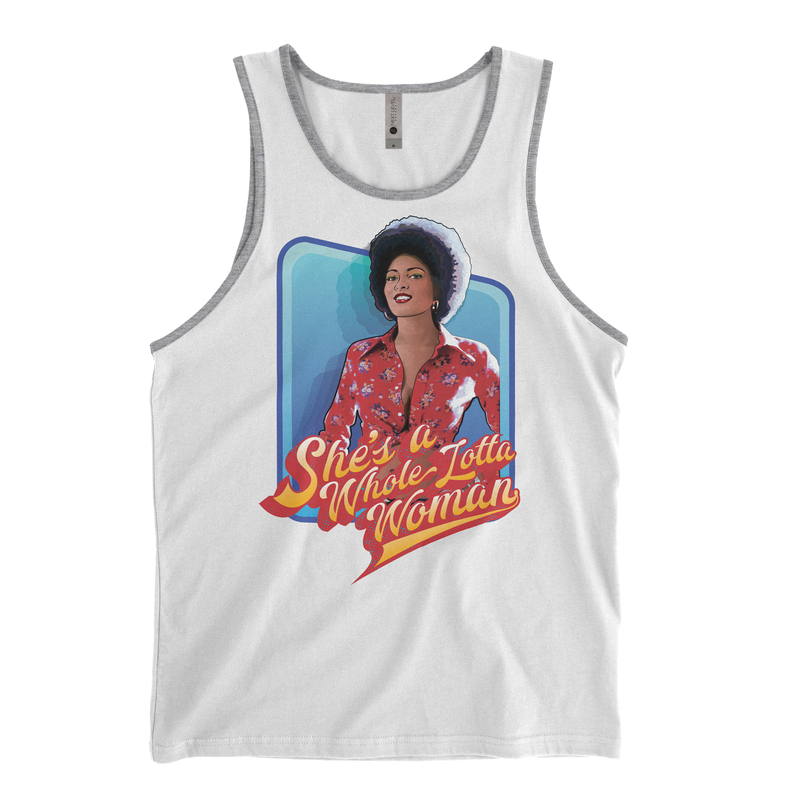 A vintage inspired men’s tank top with Pam Grier as Foxy Brown. Antonio Fargas had it right! 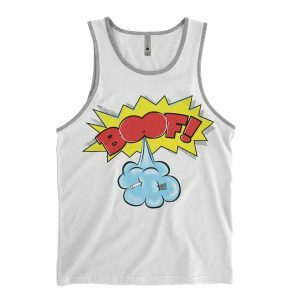 Men’s ringspun cotton tank top – white with gray trim.